Nebraska Children and Families Foundation today announced that it will receive a grant from the Social Innovation Fund (SIF) to expand services to unconnected young people in rural Nebraska. The SIF grant – one of the largest ever given to a single state — comes from the federal Corporation for National and Community Service (CNCS). Nebraska Children will use the funds to expand its successful model for addressing the needs of unconnected youth. This model – built a combination of the already successful Social Services for Runaway and Homeless Youth federal demonstration (2009) and the Omaha Independent Living Plan (2007) – focuses on young people who have aged out of foster care, are experiencing homelessness, or have been in the juvenile justice system, and prepares them to become contributing adults. The SIF grant itself will provide $1 million dollars per year for both 2015 and 2016, with an anticipated renewal for the following 3 years. This total $5 million in federal funding will be augmented by $5 million, which has already been secured from private supporters, plus another $5 million in match funds from the communities receiving sub-grants. The grand total is an anticipated $15 million to benefit unconnected youth in rural Nebraska. View info about the RFP now. 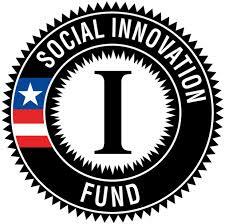 The Social Innovation Fund (SIF) is a powerful approach to transforming lives and communities that uses federal funds to mobilize private resources to find and grow community solutions with evidence of results. CNCS is federal agency that helps more than 5 million Americans improve the lives of their fellow citizens through service. Working hand in hand with local partners, CNCS taps the ingenuity and can-do spirit of the American people to tackle some of the most pressing challenges facing the nation.